Choose from a variety of preconfigured lateral files, freestanding of mobile pedestals, bookcases and letter or legal vertical files. Please see the accessories available below. Contact us if you have any questions. 7 Styles, 21 Total Choices! Height Range from 27 to almost 66 inches; Drawers and Receding Door/Roll-our Shelves. 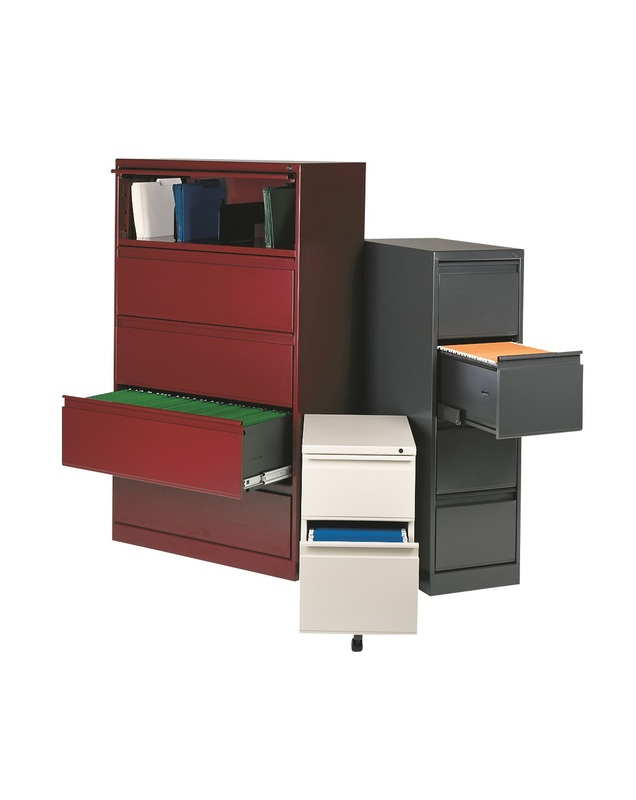 4 Styles, 13 total choices, mobile or freestanding, two or three drawer file pedestals. Pencil, 6" box or 12" file drawers. Click here to view general information and standard features. We offer Vini Lateral and Vini Pedestal (both freestanding and mobile). Click here to view general information and standard features.